Everyday as we step through the door; let's learn something new. Join me on my journey. 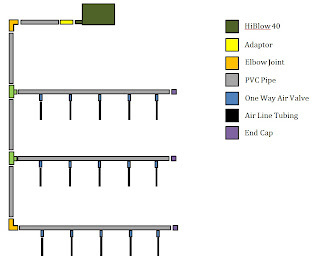 Disclaimer: This is the blogger own interpretation of his air system. Take note that this is not a guide but merely to share the project that he has made. Blogger will not be held responsible for any wet floor and lecture from the wife. Thank you. So I came up with this diagram. Drawing is not to scale. Note that I did not include a bleeder valve here. It is essential that one have an outlet as a bleeder valve. I'm thinking of changing the bottom end cap and add a valve to release the excess pressure. But, an unused valve will serve just as well. 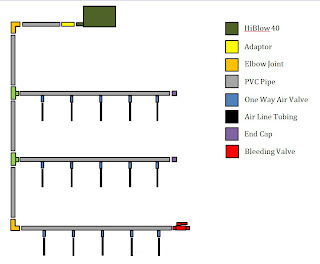 If a bleeder valve is install then diagram will be as below. There was another design on my drawing board which is a circular one. Like a frame. PVC running on the left and right but I've been told that it provide little advantage. So heeding that advice, I went with the 1st diagram. Now, after getting the whole thing, I realise that only 13mm pvc pipe can fit the adaptor that's provided with the HiBlow. So a bit of changes needed. 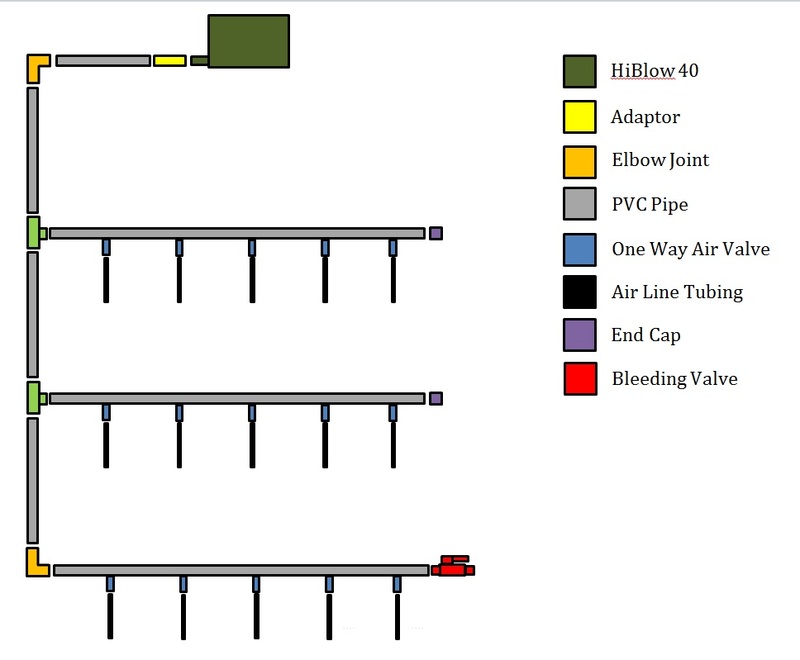 Connection from Hiblow -> Adaptor -> 13mm PVC Pipe -> Reducer (13mm to 16mm) -> 16mm PVC Pipe. Well, here are the list of items I needed. I will show two parts of the setup. 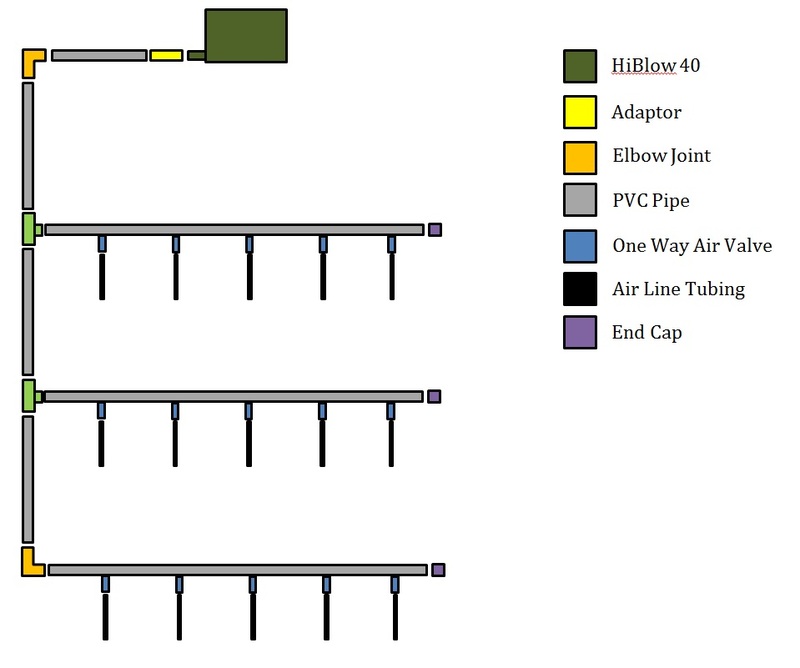 Measure acordingly and mark it on the PVC pipe where you will be drilling. I wrap the thread with Teflon Tape so it will be a tight fit. As I am concern that the valve might easily be disconnected, I use silicon on the outside. Mark each point to drill. Teflon tape placed on the threaded one way valve. 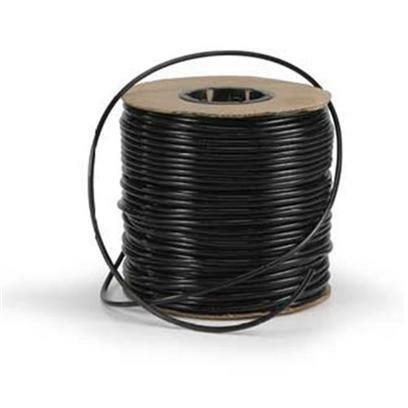 Silicon is use to prevent leakage. Check his video on air system here. Fantastic video on the air system. Great advice and all. Credit to him! So after receiving the pump, I started working on how to attached it to 16mm PVC pipe. The pump comes with a rubber L -shaped adaptor. It fits a 13mm PVC pipe. I insert that in. Then glue the other end of the pvc to the reducer. And then the other end glued to the 16mm. Took the following pictures below a few days ago after setting it up. Future enhancement, include a ball valve at each level to release excess pressure. The outflow right now for the 7 HMF tanks is too strong. I had to place the tank plastic cover so water won't splash onto the floor. The reducer is then attached to a 16mm PVC pipe. You could just do 13mm all round but I had loads of 16mm PVC pipe so it was logical to just get the reducer. I didn't install the ball valve yet, so to release the excess pressure, I insert an airline tube and an airstone at the end. This is done to stop the "whistling". The end cap. A mistake here. To be honest, all PVC joints have been glued. If I were to add the ball valve, I'll just cut that portion off and insert it. Well, this is my 2nd level. 5 Gex M tanks. The 3ft light is temporary solution. Current setup. Have to do it slowly as I'm on a budget. Bottom tank on the left is my planted tank. On the right, seperated some males AMRL and Females AFR. Have java and riccia I'm trying to grow. Well, here's the setup. Not enough tanks yet but you get the idea. Special Thanks Goes Out To Aquatic Quotient Members and Friends. And also to those who have given me feedbacks and comments on the system. Apologies, if I didn't mention you here. Aquascaping is an art. The tank is your canvas; you are the artiste. Create your masterpiece.